A hopeful knock on the door of one of Brighton’s best homes (more of that in a few weeks) led to a fantastic tour of the owners’ last home – 12 Richmond Terrace. Haydn Hughes and his partner bought their former home at Richmond Terrace two and a half years ago when it was in an entirely different state of repair. It had been with the previous owner for 35 years and prior to that it was a doctor’s surgery. Starting at the top of the four storey building, a wooden pull-down ladder leads onto the slate and lead roof via a raised roof-light. An interesting drainage arrangement involves water falling towards the centre of the roof into a pipe running through the house. It meets a lead gulley and then leaves at the rear. The roof-light on one neighbouring property has been removed but on the other side the entire valley has been filled in and a dreadful flat roof created. 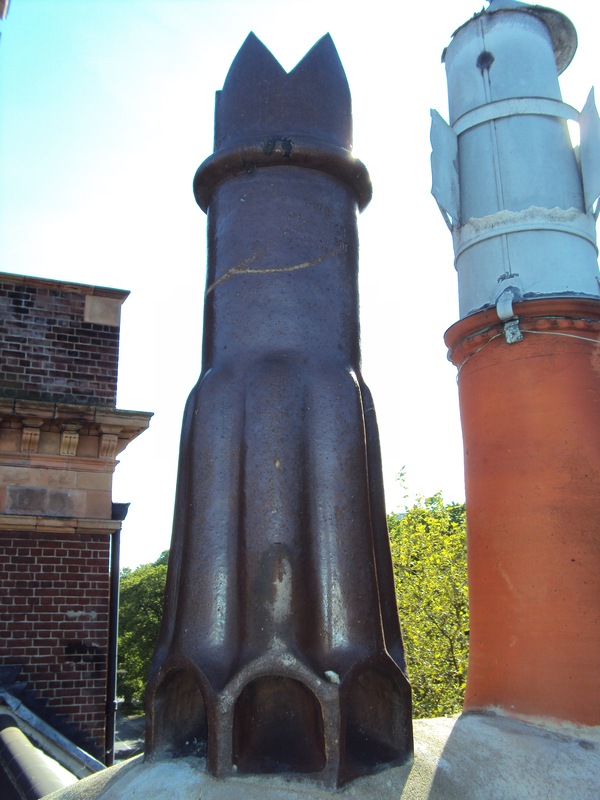 The roof provides close-up views of several jelly mould-like chimney pots and also of the terracotta mouldings of Brighton Technical College two doors away. 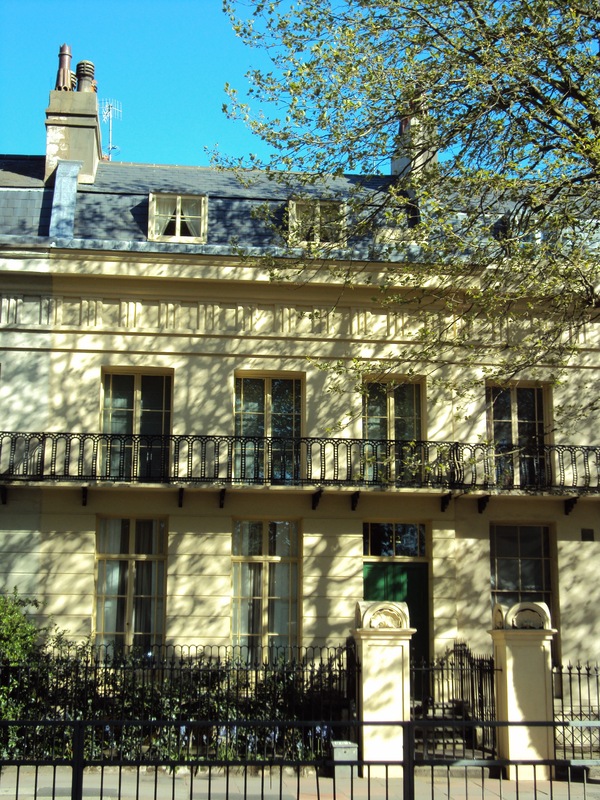 The second floor of the building is situated within the building’s mansard roof and includes three bedrooms and a shower room. The drawing room is situated on the first floor and Bacchus, the Roman god of wine and grapes, is celebrated in the cornicing. That room’s fireplace is not original to the building but is a genuine Regency article, unlike the 1930s fireplace in the master bedroom suite at the rear. Although each room and floor has its own identity, themes throughout include floorboards painted black, Forbes & Lomax Invisible Lightswitches, brass and electrical sockets embedded in the floor. A great detail is to be found in the dining room at the front on the ground floor – shutters on the windows which slide away into cavities beside each window. The parlour at the rear has a different type of screen which slides up from beneath the windows, perhaps to provide privacy. A beautiful key with the inscription ‘GIBBONS WOLVERHAMPTON’ sits in a polished rim lock in the hallway. The oasis-like garden once included considerably more land but a portion was taken by the Phoenix Brewery many years ago. The plot is now a crèche but apparently it will revert back to the house’s ownership in around 9,000 years. Not quite in time for the summer.